When you placed your Miami property in the market, the expectation was that it would get a ready buyer immediately. However, if months have passed and you still have not gotten any offer, then it is time to find out what you are doing wrong. Selling a property sometimes is not as easy as you would want. This is because many factors will influence how marketable your property is. However, you should not despair as you can still turn the situation around. The following tips will help you deal with the situation better. The marketing strategy you employ is what will position your property in the market. If the strategy is not right, then you will not draw interest to your property. The marketing strategy you employ should target the right audience. The audience should consist of people who would be interested in your property and have the ability to purchase it. When you find little or no enquiries made on your property, the first thing you should consider is changing your marketing strategy. If there are frequent enquiries and house views but no offers yet, then know the strategy is working and the problem could lie elsewhere. The property market fluctuates and sometimes it favors the seller while other times it favors the buyer. If you place your property in the market at the wrong time, then you can expect a low response. If you are not in a hurry to sell, you can keep it in the market until you get a buyer or when the market favors you. If you want a quick sale, you can use other alternatives to sell the property. You can find Miami home buyers that will buy the property from you. These property investors assist property sellers by buying the property without levying fees or other charges. A property should meet certain standards for it to be attractive to buyers. It should have a fair price for starters. The price you set should reflect the true value of the property. You should also have it in good condition. No buyer would want to buy a property that requires a lot of work. Ensure that all the systems are working well, give it a coat of paint and take care of the garden. You should also arrange furniture in such a way that it highlights the potential the house has to the buyers. Everything should be working well, including the doors and other fixtures. If you feel you are over your head, then you should consider getting help. 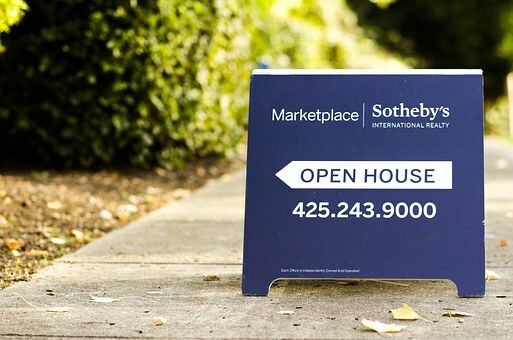 An agent will do a professional assessment and give you guidance on what more you can do to make the sale. Using the agents has both pros and cons, which you should have in mind as you make a decision. Getting help allows others to take up the responsibility of selling the property.